Fans of Ubisoft’s video game series Far Cry couldn’t contain their excitement when the French video game company announced that a new game in the series would be released in early 2018. This is one of several blockbuster games that Ubisoft will be putting in the next couple of months, as the highly-anticipated Assassin’s Creed: Origins will be hitting shelves this fall too. Rumours about a new Far Cry game surfaced earlier this year, as Ubisoft posted an image belonging to their widely-acclaimed Far Cry 3 game with a message suggesting another game in the series could be in the works, while it also become known last May that a trailer for a major action video game was being shot in the US state of Montana, which many people presumed could be for an upcoming Far Cry game. Also, a leak prior to Far Cry 5’s reveal said the game would be set in Montana, and that it would involve an evil religious cult too. The game’s Montana setting was confirmed in May, when Ubisoft released a series of live action videos showing off the game’s Hope County setting, and strongly hinting at a cult being the enemy faction in the game, something that was confirmed in a later series of trailers which showed more of the fictional Hope County where the game takes place. 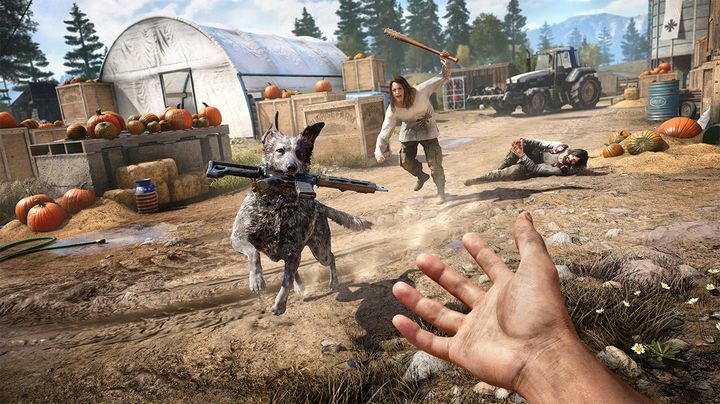 Speaking to GamingBolt, Far Cry 5’s lead writer revealed Ubisoft’s reasons for taking the Far Cry franchise to a western setting, and specifically Montana. “Dan Hay [director of the game] always talks about bringing Far Cry to America, pretty much since they’ve done Far Cry 3. The first place that everyone decided to check out was Montana”. “I think that there’s a great sense of frontier, great sense of wilderness, of danger, wildlife, there’s mountains, there’s big sky. There’s lots of places that feel unknown even though it is in the backyard”, continued Holmes. Far Cry 5’s lead writer also mentioned how the state’s “standoffishness” and “leave-me-alone” attitude worked great for a Far Cry game, with the team at Ubisoft having no doubts that Montana would be the setting for Far Cry 5 after visiting the western state. 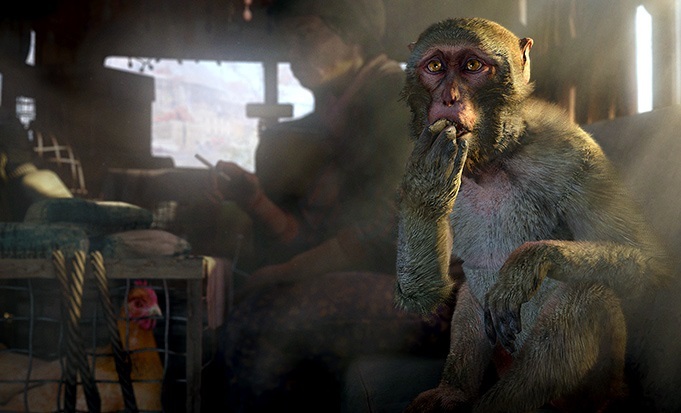 Far Cry 4’s Himalayan country is one of the series’ best settings to date. If one thing is clear, though, is that despite undoubtedly being right for a Far Cry game, Far Cry 5’s US setting is quite a bit different from those of the earlier games in the series. After the original game came Far Cry 2, which took players to the sunny African savannah. This game had its share of oppressive jungles too, even if it turned out to be a disappointing Far Cry entry overall. Of course, it’s clear the series most unforgettable setting to date were Far Cry 3’s Rook Islands. These had beautiful grasslands, tropical jungles, swampy areas and scenic beaches which are obviously a world apart from the sort of landscapes we will get to enjoy in Ubisoft’s upcoming Far Cry 5. It’s unlikely (although we are hoping otherwise nonetheless), that the new Far Cry game will feature a villain as cool as Far Cry 3’s, as that game’s antagonist is undoubtedly one of the best villains to feature in a video game to date. The latter Far Cry 4 was set in a fictional Himalayan country with plenty of high altitude terrain, great valleys and many interesting landmarks to explore. Plus this also had one of the best weapons in any Far Cry game to date, as the grenade launcher sure was a joy to use in this superb Far Cry game. You can take a break from all the fighting and fish in one of Montana’s great lakes in Far Cry 5. So how will Far Cry 5’s Montana setting differ from that of the Far Cry games that have come before it? There will be great plains to explore of course, and also plenty of lakes to swim in (which might be the location of many of the game’s collectibles). 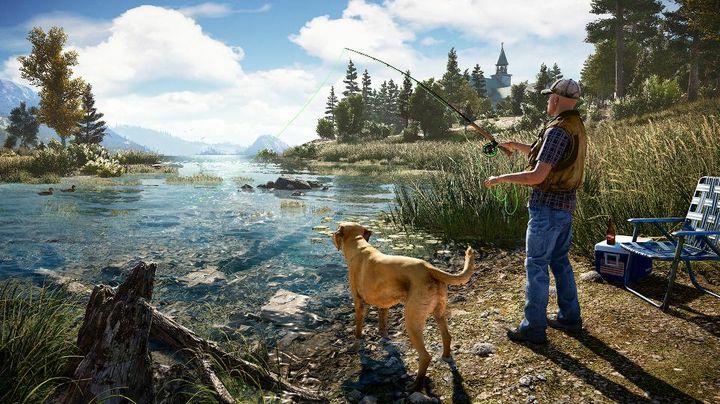 Montana’s watery areas will also lend themselves to one of the game’s new activities, fishing. Also, the fictional Hope Country’s hiking trails could be the setting of many tense firefights, plus riding the game’s numerous varieties of cars across Montana’s hilly terrain and prairies could end up being a blast in this upcoming Far Cry game too. Of course, we’ll have to wait until February next year to find out whether Ubisoft can deliver another great Far Cry game again, though. But if the French video game company can get the open-world first-person shooter formula right again, then Far Cry fans surely are in for a treat when the game is released in early 2018.